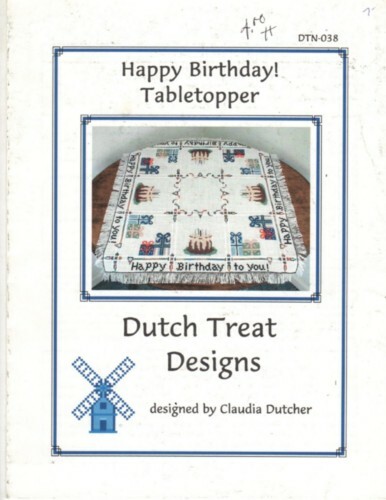 Dutch Treat Happy Birthday Tabletopper Cross Stitch Pattern leaflet. Stitch count 173 x 173. Handwritten price on cover.